Get Well Toolkit for Men and Women with Paperback Book has all the tools to help make recovery time better. The perfect gift if you are unsure about allergies or food restrictions. 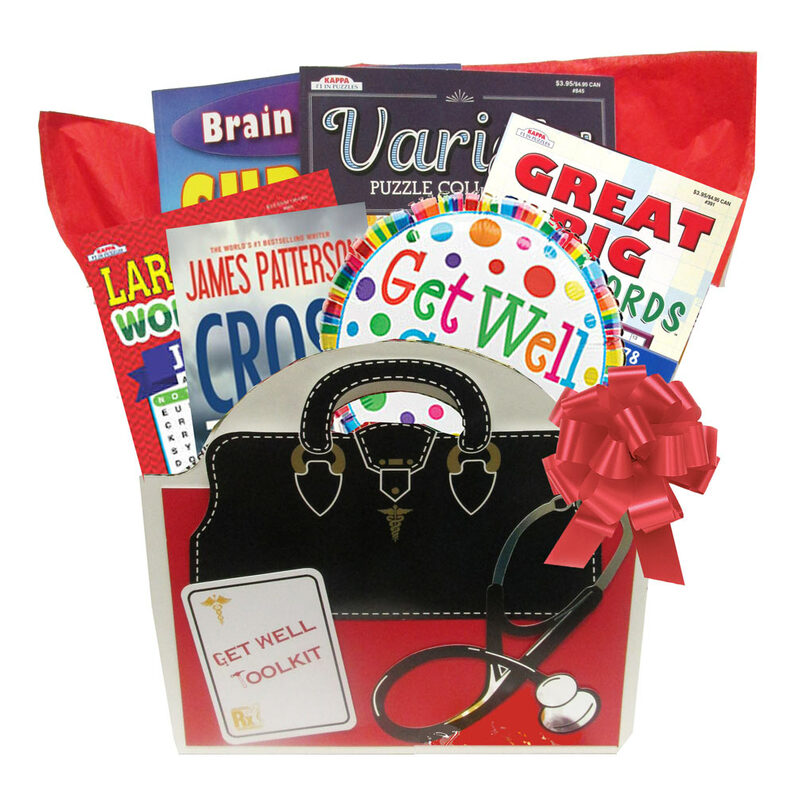 This fun get well gift basket provides plenty of entertainment for after surgery, cancer patient or hospital stays. An entertaining gift for after surgery, recovery, and bed rest. 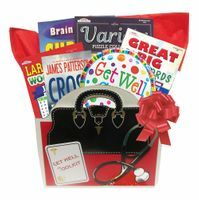 Get well gift basket that is the perfect hospital care package. Shipped nationwide. Free Ground Shipping.